For not being a fan of Halloween, I sure loved this one! We had a blast and created some wonderful memories. My favorite part was walking in from the grocery store Wednesday night to Mike and Bryson sitting very intently at the kitchen counter. 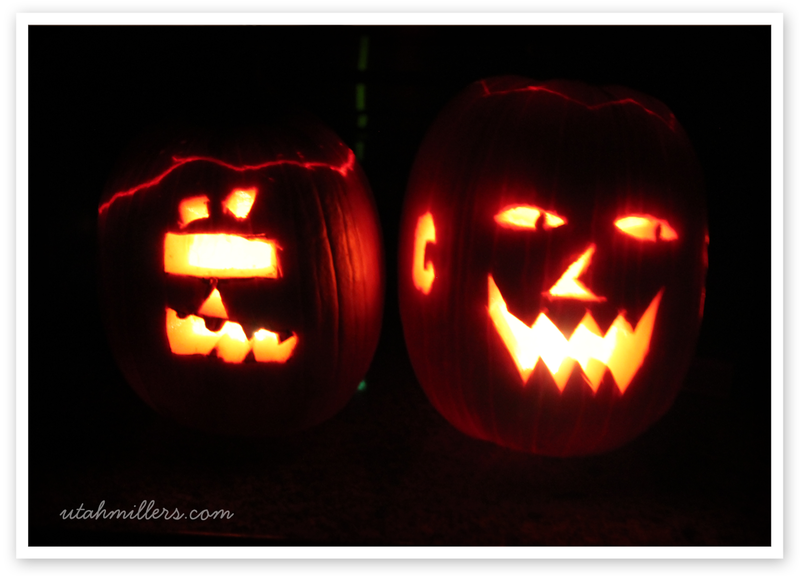 Mike had scary Halloween music playing on his phone and they were both carefully sketching onto paper different scary pumpkin faces that they planned to carve into their pumpkins. 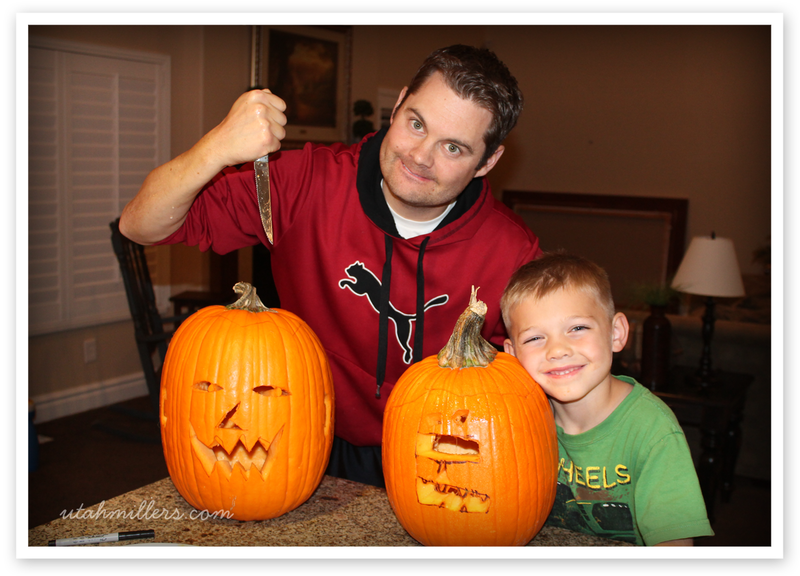 Since we only had two pumpkins, I let the boys do the dirty work and I sat and read out loud the last few chapters of a Halloween Goosebumps book we've been reading with Bryson. The Halloween music playing was the perfect soundtrack to the very scary story being told in the book. It made for a such a fun Halloween Eve experience! 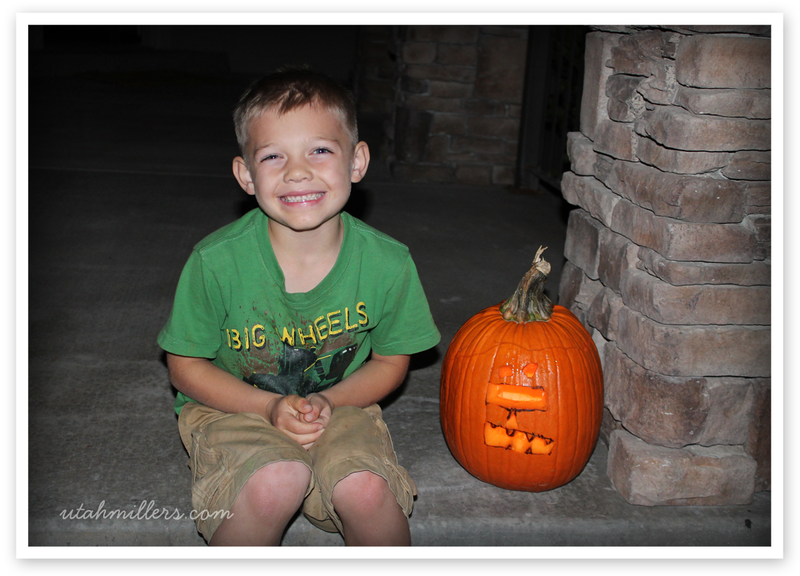 Bryson planned to enter his pumpkin into his school's pumpkin carving contest, so he worked super hard and carved his entire pumpkin himself including cutting off the top and scooping out the pumpkin guts. He didn't end up winning the contest but I loved watching him work so hard for something he really wanted. Bryson's school parade is always the highlight of the school year for me. I love seeing all of the cute kids marching proudly through the gym in their creative costumes. 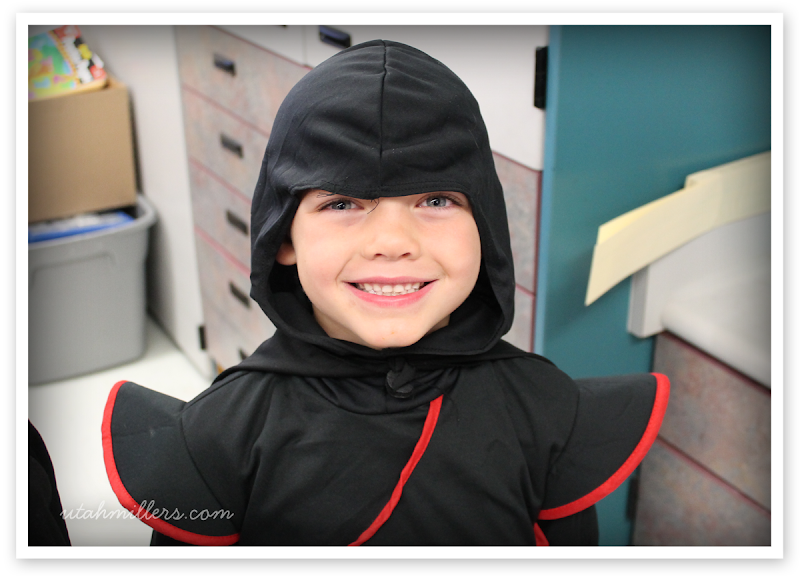 Bryson chose to be a black Ninja this year and killed it! 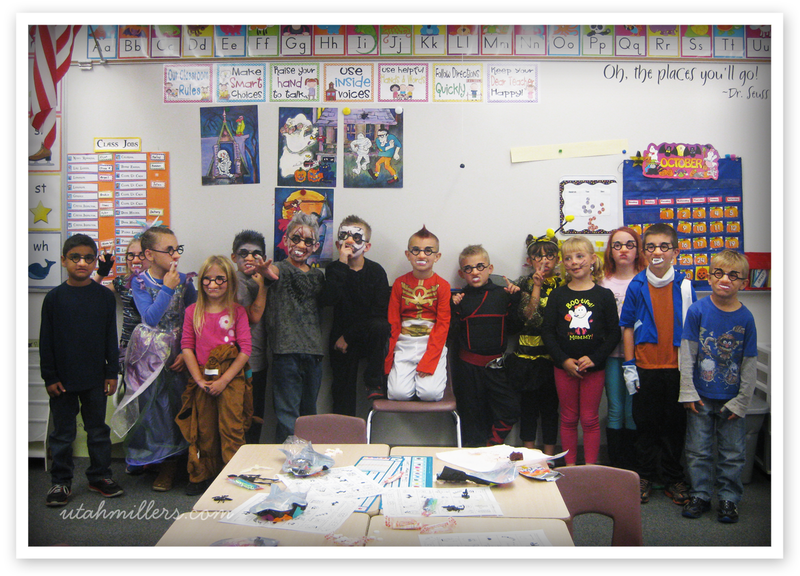 After the parade I went to Bryson's class to help with his class Halloween party. I love spending time in his class and getting to know all of his cute classmates. 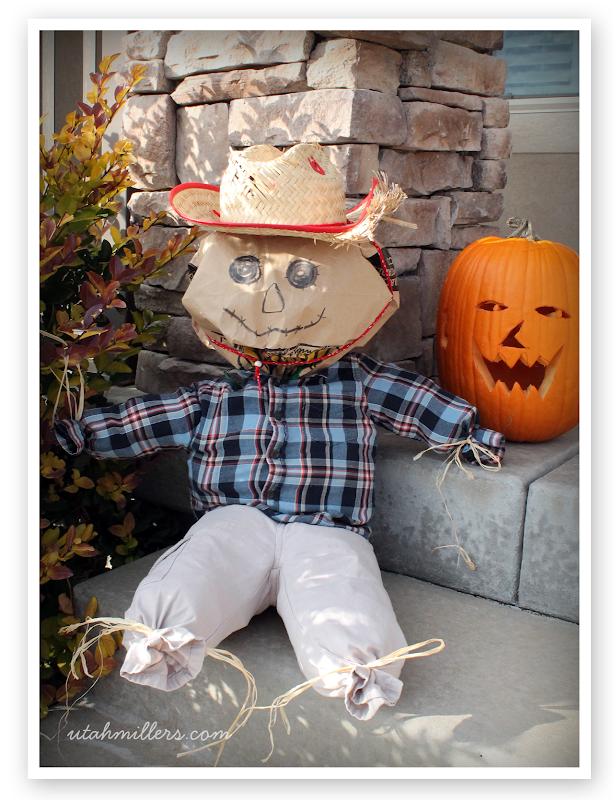 Bryson made this adorable scarecrow at school, so we put it on our porch to greet all of our trick-or-treaters. 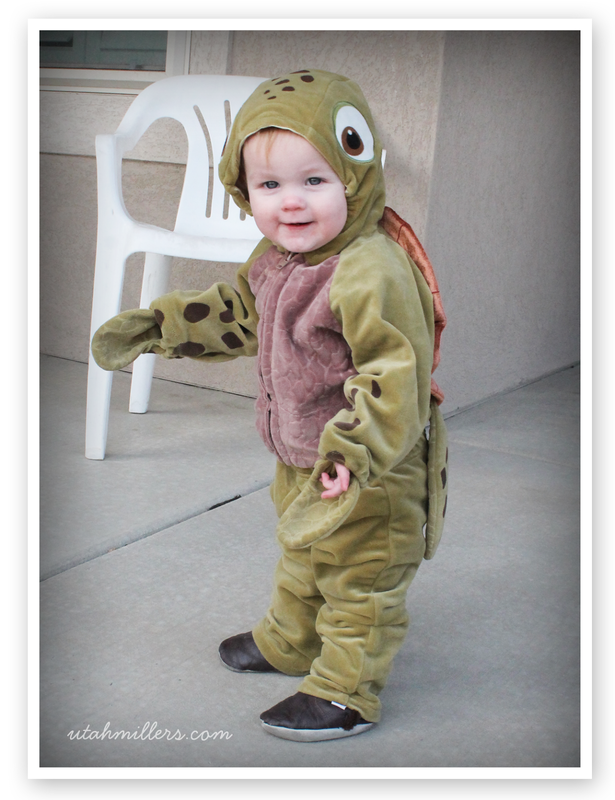 We recycled Bryson's Halloween costume from when he was a little baby and had that be Lilly's costume this year. She looked so cute running around with her little turtle fins flapping. Bryson was in heaven this Halloween because he actually had a big, safe neighborhood of his own to trick-or-treat in (we've never had that before). 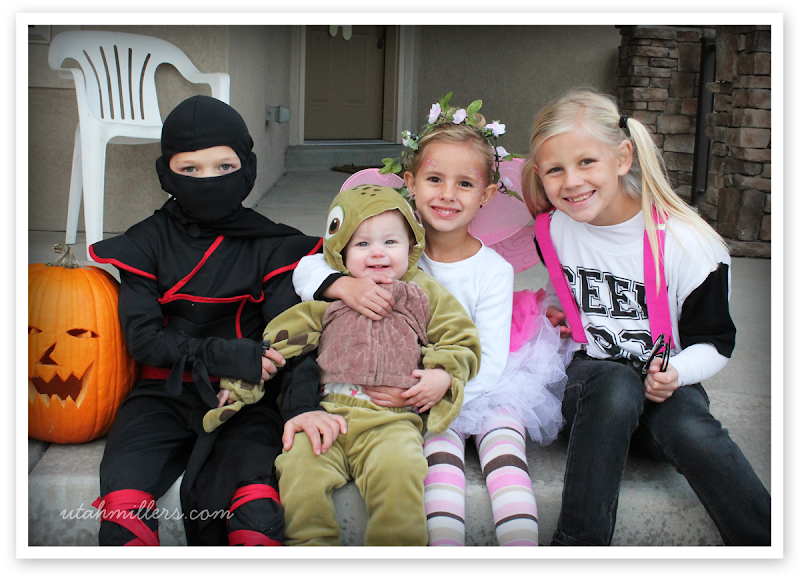 We had a steady stream of trick-or-treaters all night long and the HUGE bowl of candy we had only had two pieces left by the end of the night. We are loving it here and Bryson has made some wonderful (and very cute) friends!